where there is sadness, joy. to be loved as to love. and it is in dying that we are born to eternal life. Blessed are the peacemakers, for they will be called children of God. Do I strive to cultivate peace in my interior life – making time for silence, prayer, and listening for the still, small voice of God? Are my words, gestures, and actions motivated by a desire to cultivate peace? Or do I speak and act without thinking of peace, lashing out at those around me (including my children, spouse, and people in my family, church, or community)? In my interactions online, do I “speak” with peace to others, even when it is difficult? Am I concerned with issues of violence that plague my community and the world (including but not limited to physical, spiritual, emotional, and sexual violence, abortion, child abuse, euthanasia, and genocide)? Have I sought to educate myself on these issues so I can work for peace on behalf of vulnerable people? Have I resisted hard discussions out of fear, not realizing that peace is not the absence of conflict but the presence of God’s justice? Am I willing to put myself in the place of another, trying to understand their worldview, ideas, and experiences before judging them harshly? Do I go to the margins in my family, community, and Church seeking to welcome and befriend those who are often invisible or left out? Take this week to honestly examine your life and your priorities. Hold your life up to the light of Christ. Look for imperfections and shortcomings. Resolve to be open to conversion and to be better with and for the Lord. Jesus, you are the Prince of Peace. Help me sow the peace that only comes from You in my self, my relationships, my interactions with others, and my community. Amen. 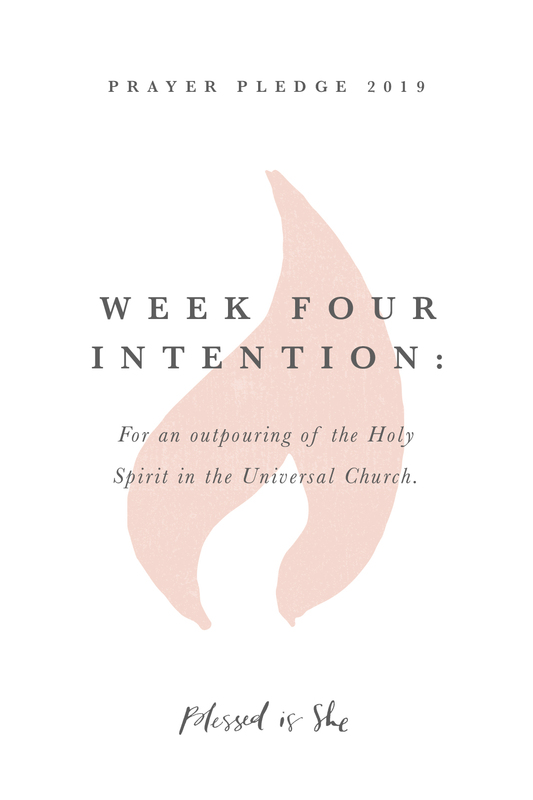 Each week, we will have a special download for each form of prayer: Adoration, Contrition, Thanksgiving, and Supplication (ACTS). Download this week’s printable below. Sarah Babbs is a writer and mother of three, including twin toddlers. She writes about faith, social teaching, and navigating life as a motherless daughter and mother. You can find out more about her here. 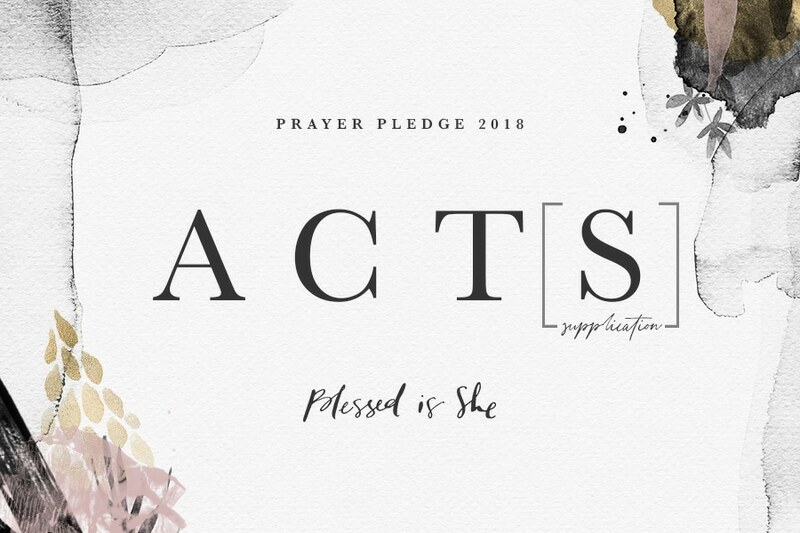 Subscribe here to get the Prayer Pledge straight to your inbox! We are women, just like you. We are single, married, mamas, and grandmamas too. Here at Blessed is She, we help foster community, through daily devotions straight to your inbox. We walk with you on this crazy journey as a daughter of the King. Enter into a community full of women just like you. Sign up and receive the daily devotions to your email. I want to receive email from Blessed is She and know that I can opt out at any time.